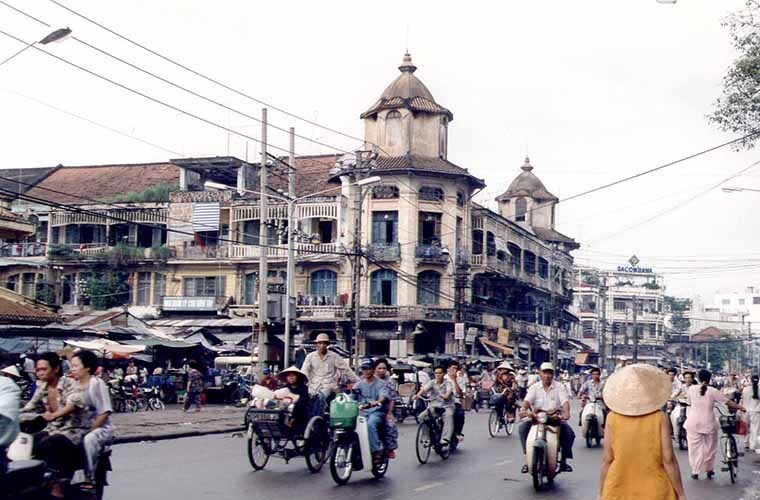 Saigon is famous for the colonial architecture since Vietnam was occupied by the regime of France. It is a busy and bustling city, filled to the brim with market stalls, street vendors, and shops where merchants sell a massive range of items to the passersby. Tourists and the more affluent residents of the city frequent the bars, clubs and nightclubs that the city is also famous for. The constant buzzing of the thousands of motorbikes packed in the street, and the honking and street vendors yelling, is what gives this city its unique chaotic charm. Modern skyscrapers stand side to side with ancient temples and rundown apartment buildings. Wide streets lined with trees lead off from small alleyways and cobbled paths. 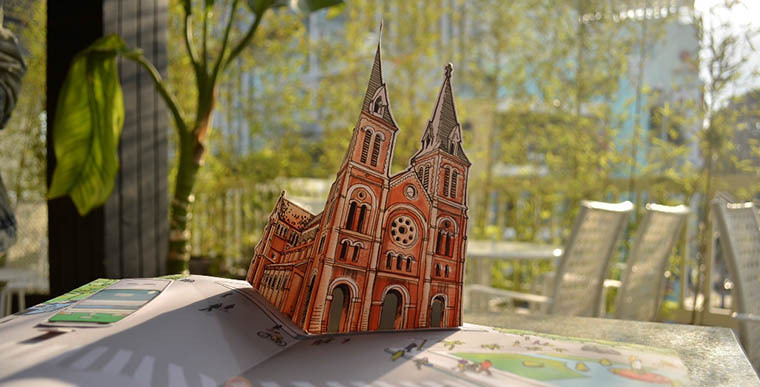 Built since 1877, Notre Dame cathedral is located in the heart of Sai Gon’s government quarter. Facing Dong Khoi street, Notre Dame cathedral has neo-Romanesque with two 40m – high square towers tipped with iron spires, which dominate the city skyline. Laying in front of the cathedral is a statue of Virgin Mary and the biggest bell of Vietnam. 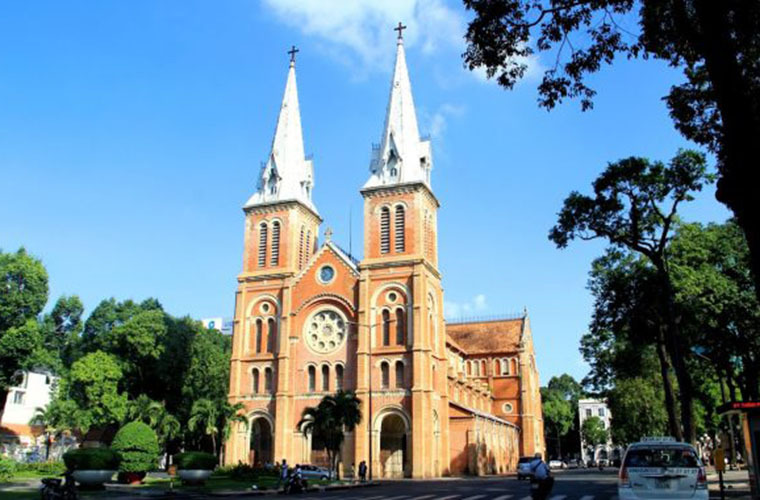 Unlike other cathedral, Nortre Dame Sai Gon has no stained-glass windows, which was destroyed during the War II. A number of tourist and priests are allowed to add a short sermon in French or in English to their longer presentation in Vietnamese. It is no doubt that Notre Dame is one of the most gorgeous and important cathedral in Vietnam, stated in the unmissable travel list. 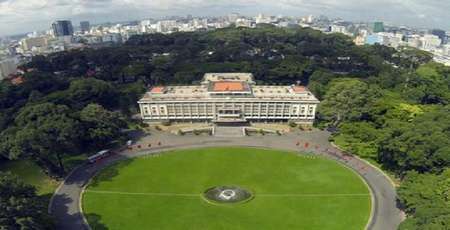 Besides, from here, tourists can easily walk to Reunification Palace, Dimond plaza, or to have a coffee along Han Thuyen Street. 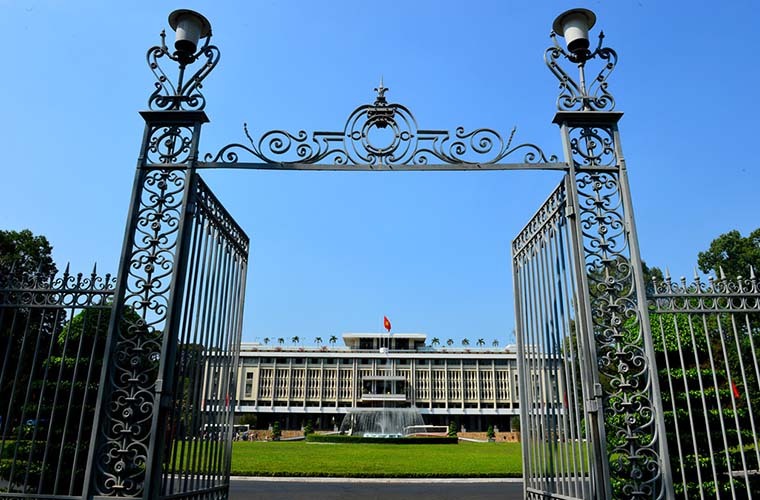 The striking modern arrchitecture has made Reunification palace one of the most fascinating sights in Sai Gon. Known as a famous symbol for the South of Vietnamese government, this building is preserved almost as it was since April 1975 when the Republic of Vietnam, which hundreds of thousands of Vietnamese and 58,183 Americna has died trying to save, ceased to exist. Reunification is open to visit, accept for the occasion when official receptions or meeting are taking place. 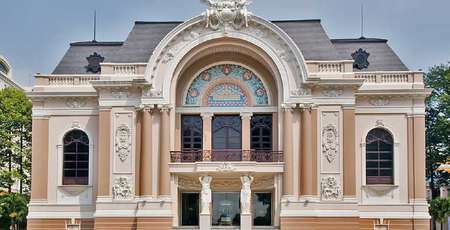 Some recent reinnovation include a statue of Ho Chi Minh and a viewing room where tourists can watch a video about Vietnamese history in a variety of languages. English and rench speaking guides are available during openng hours. 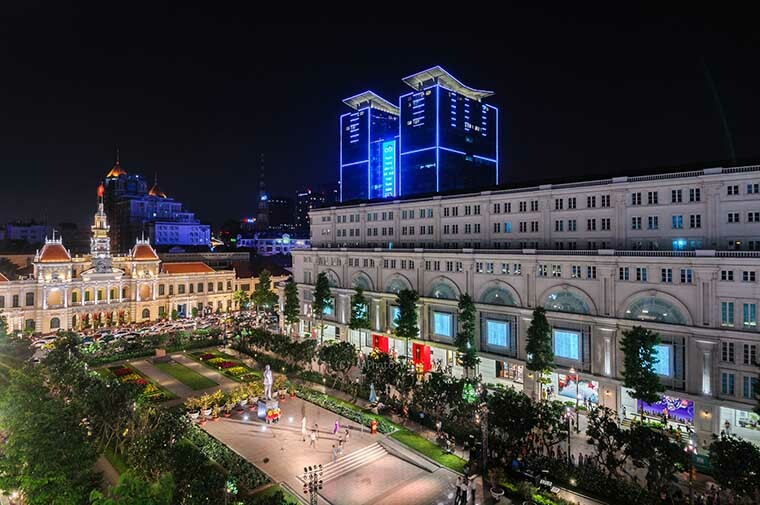 Recently, Nguyen Hue was built as a walking street for people living in Sai Gon, and has become one of the most crowded place during weekend or festive occasion. There are a lot of hotels, luxurious shopping center and ancient houses with western life style along the street. Walking straight ahead to the South East from Nguyen Hue street, you will come across the colorful Ton Duc Thang street lying next to the poetic Sai gon river. 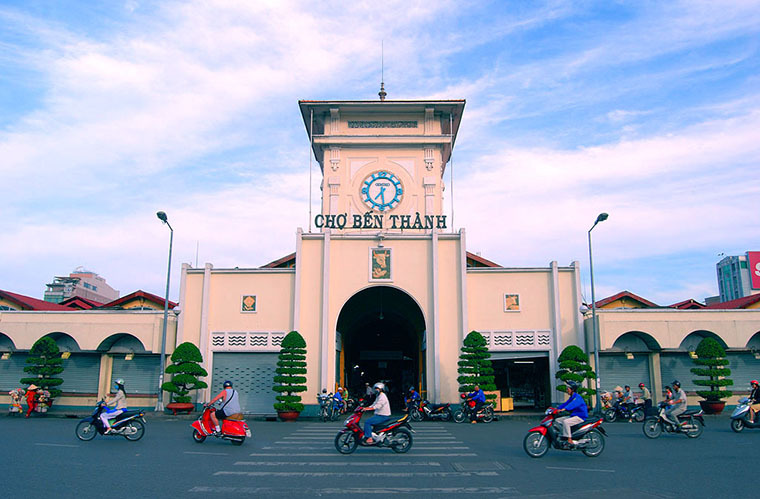 Known as a historical witness of Sai gon though out ups and downs, Ben Thanh market is known as one of the most significant symbol of Sai Gon. Ben Thanh market interfaces with main road of the center of Sai Gon. 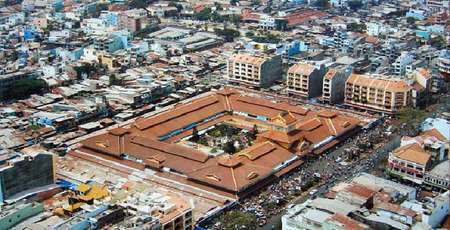 Visiting Ben Thanh market, tourists will be spoiled by various shopping choice. 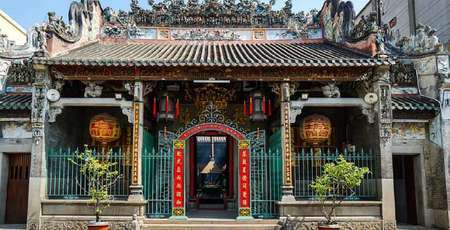 As a jewel-box of interesting Chinese style temples awaits in district 5, “Chợ lớn” is well worth heading over to China town within a day of exploration. Asides from the temple and pagodas, tourists can admire some excellent Chinese and Vietnamese food or have a swim at one of the water parks. 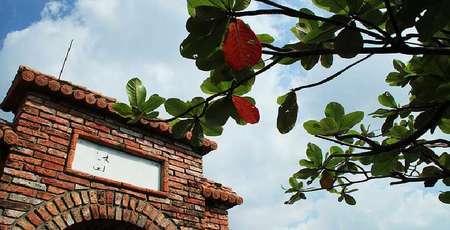 While roaming or strolling over to the trip of traditional herb shops between Luong Nhu Hoc road and Trieu Quang Phuc for an olfactory experience you will not soon forget. Here the streets are filled with amazing sights, sounds and, most of all, rich herbs smell. 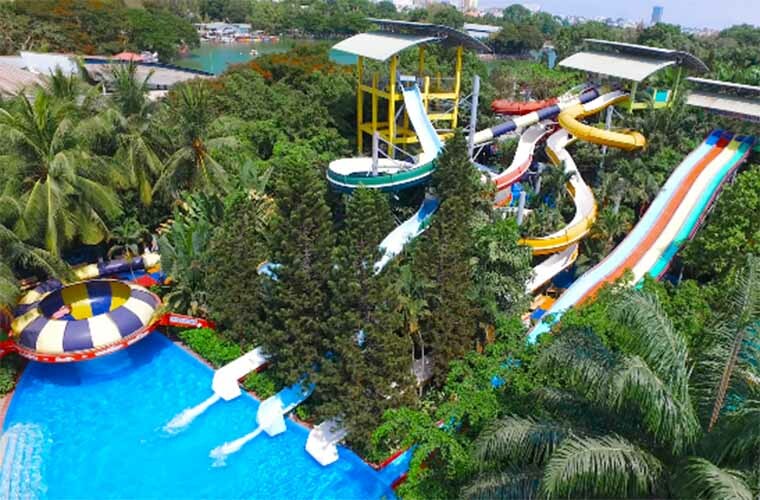 Đầm Sen water park is a common place for many families every summer, attracting a huge number of tourists each year. 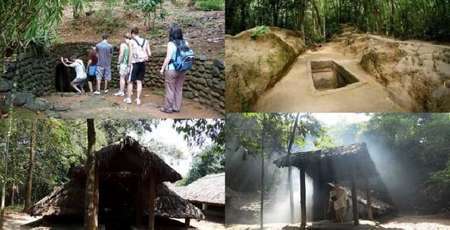 Coming here, you can have chance to participate in many types of game, enjoying the happy moment with your friends and family. 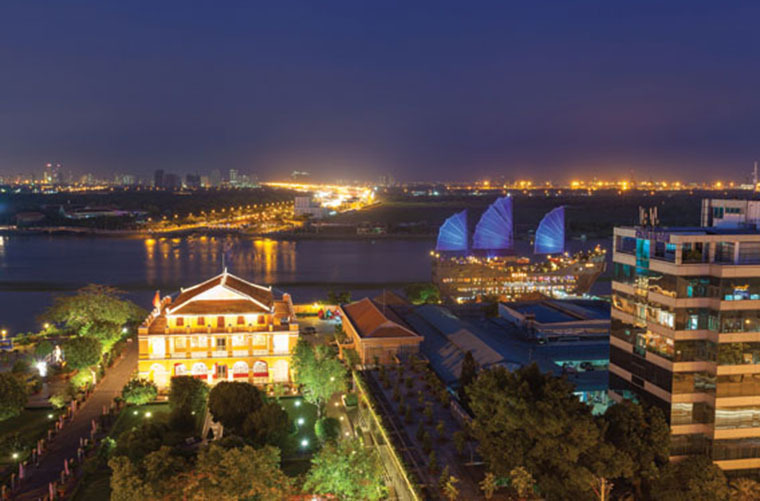 It may be a little get away from the bustling life space of Sai Gon.